Active #listening requires Consciously Competent actions. Listen with Purpose. Watch for cues, and summarize. 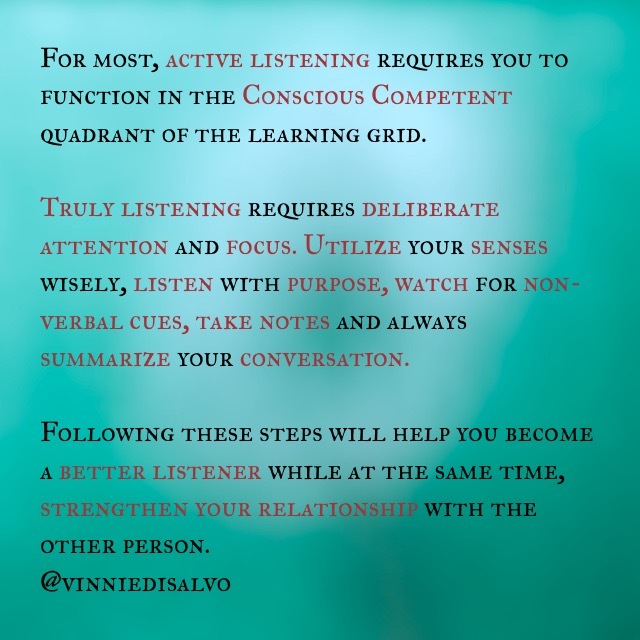 This entry was posted in Leadership, Personal/Professional Development, Training and tagged focus, Listening, Relationship on February 19, 2015 by Vinnie.